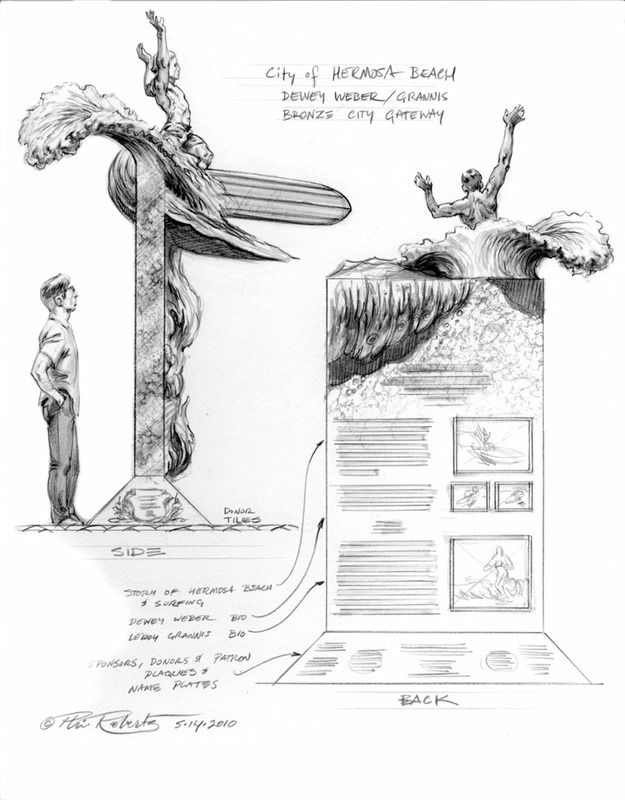 Currently working on a 12 foot memorial sculpture of surfing legend Dewey Weber inspired by the photography by Leroy Grannis for the city of Hermosa Beach. Limited edition of smaller bronze castings available of the statue will be available to purchase. Proceeds go towards the outdoor sculpture. The original oil painting of Leroy photographing Dewey at 22nd street is available. Limited edition gilcee prints on canvas also available per request. You are a truly amazing artist in every Medium. People like you are born they are not taught. In my opinion you are up there with the best in the world.